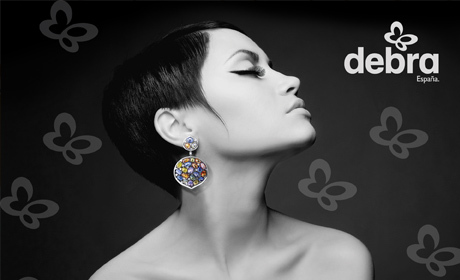 Pavés Joyeros are delighted and honoured to team up with DEBRA Spain for December 2013 and are donating 15% of ALL SALES for the month of December to the extremely worthwhile DEBRA Charity (The Butterfly children charity). DEBRA is the national charity working on behalf of people in Spain with the genetic skin blistering condition Epidermolysis Bullosa (EB). Butterfly Skin is the common name for Epidermolysis Bullosa or EB. Epidermolysis Bullosa (EB) is a very rare genetic condition in which the skin and internal body linings blister at the slightest knock or rub, causing painful, open wounds. DEBRA are a non-governmental organisation formed by people with EB, a team of social and health professionals specialised in EB, as well as friends and collaborators. It was founded in 1993 and is designated as a “registered and audited charity” by the Internal Affairs Ministry of Spain. EB is likely to affect 1 in 17,000 live births and it is estimated that there are currently 1000 people with the condition in Spain. Because EB is an inherited condition (it cannot be caught), which is passed on genetically from parents to children, first time parents often do not know that they are carriers and will have no prior warning that the child will be affected, until birth. The condition has a number of distinct forms. In its least severe forms, the blistering is confined to the hands and feet making holding things and walking extremely painful. In more severe forms all the body is affected and the wounds heal very slowly, giving rise to scarring, physical deformity and significant disability. For many affected by the condition, the blistering is not limited to the skin but also affects the inner body linings such as the mouth and oesophagus. The eating of solids is, in these cases, almost impossible, and the disposal of the body waste incredibly painful. When this condition applies, malnutrition is often a consequence, further reducing the body’s resistance to infection. People with the more severe types of EB also have an exceptionally high risk of developing skin cancers, shortening their lives by approximately 30-40 years. In its most severe form, the condition is fatal in infancy. Whilst considerable progress has been made in recent years in understanding EB and identifying the genes that cause the condition, there is as yet no effective treatment or a cure. DEBRA have a vision of a world where no one suffers from the painful genetic skin condition Epidermolysis bullosa (EB). Until that day, their mission is to offer specialist care to those who need it. They give support to people and families affected. And they provide real hope for the future by supporting pioneering research which will one day find a cure. Without support, people with EB would not benefit from specialist care and Pavés Joyeros hopes that if you are thinking about purchasing jewelry this month or as a Christmas gift at our store, then 15% of the proceeds of your purchase will go to the Butterfly Children Charity and will go to help in providing the specialist care that these children badly need. Pavés Joyeros offer a wide range of the most prestigious jewelry in Marbella, but also has it’s own jewelry design and manufacture department. We specialise in taking your own pieces of jewelry and custom design them, taking inherited, old pieces or vintage gemstones and creating a new piece of jewelry. We take price in working with clients on a one-on-one basis to integrate their personal sense of style and taste into custom designed jewelry and repaired jewelry pieces. 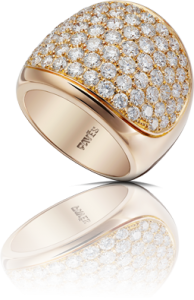 Clients come to Pavés for luxury, elegant, one-of-a-kind jewelry that often marks a special occasion such as an engagement, wedding, anniversary, or birthday. Pavés Joyeros are well known for high quality and attention to detail and we also have our in-store watch assistance service where simple repairs can be carried out to your watch or it can be adjusted. So if you are interested in purchasing jewelry pieces and can help a worthwhile cause at the same time, then it’s a great time to call into Pavés Joyeros in Puerto Banus and see our collections. DEBRA Spain can be contacted on DEBRA Spain, C/ Jacinto Benavente, 12, 29601, Marbella (Málaga). Tlf: 952 816 434, Fax: 952 816 434 or email info@debra.es. Their website is www.debra.es where you can find more information. Inscrita en el registro mercantil 5 de Málaga tomo 3032, libro 1945, Folio 80, Sección 8. Hoja MA-55716.